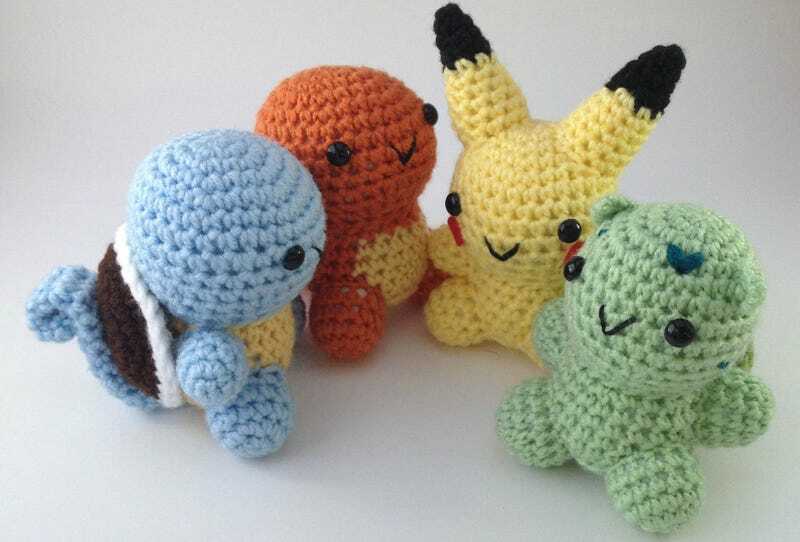 Here are the first-gen starter Pokémon, looking as adorable as ever—but in a physical, huggable form. They come courtesy of Ashley Muldoon, who sells crocheted dolls in her Etsy shop, StarCraftsCo. She's planning to do the third-gen starters next, in honor of the impending release of Omega Ruby and Alpha Sapphire.